Is that somwhow supported in CKEditor? Is this what you mean? These are defaults. Or, are you asking about making your own plug-ins to do those functions? 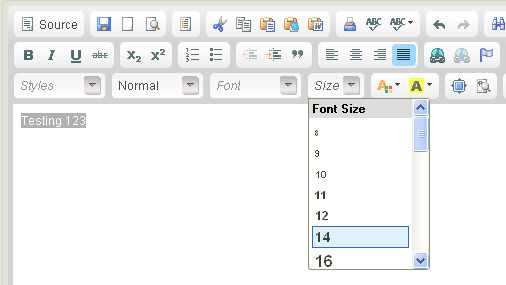 If you prefer to define font sizes as percent or in ems rather than the existing "px" (pixels), then you could just add your commonly used common ones to the existing Styles dropdown. Same thing for color: if you have a handful of specific color styles that you want to include, then edit them into the Styles dropdown.